Max Fink studied medicine at New York University College of Medicine, qualifying in 1945. He spent two years as an army medical officer. He was trained at Montefiore, Bellevue and Hillside Hospitals, each in New York. By 1954 he was board certified in psychiatry, neurology and psychoanalysis. 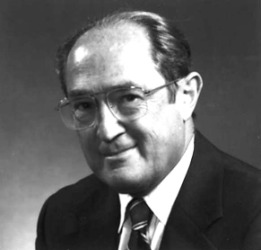 Fink was appointed research professor of psychiatry at Washington University in 1962, at New York Medical College in 1966 and professor of psychiatry and neurology at SUNY at Stony Brook in 1972. Early research included federal government funded research into the changes in brain waves (electroencephalogram) induced by electroshock, antidepressant and antipsychotic drugs, opiates and narcotic antagonists, and cannabis and metabolites. For the past fifty years Fink's main interest has been first in electroshock and then in psychopathology. Over the years his ideas on ECT have evolved from an early suggestion that the biochemical basis of ECT is similar to that of craniocerebral trauma through to statements that organic mental syndrome is seen in all patients following ECT but is usually transient and finally to the position that ECT-induced memory loss is a hysterical symptom with parallels to the Camelford incident. His most recent interest is in the psychiatric syndromes of catatonia and of melancholia.